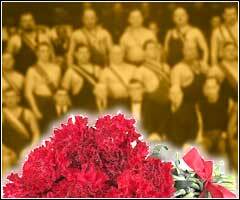 This section of the site is dedicated to the memory of legendary lifters, coaches and personalities who are no longer with us. Most definitely, the records they broke, lifting results they showed in the competitions, memories of moments of glory and triumph will outlive the physical boundaries of their lives. In order to see the details of the lifter's career, please follow the link associated with the name of the athlete in the search results. The displayed information is based on the data in the Lift Up database. Please contact Lift Up if you find that the information has been ommited or incorrect.